12 Days of Giveaways – Suzanne’s Ricemellow | Cook. Vegan. Lover. One of the fondest memories of my childhood was making fluffernutter sandwiches with my dad. Once I went vegetarian this was all crushed because of the gelatin used in marshmellows to make the fluff. 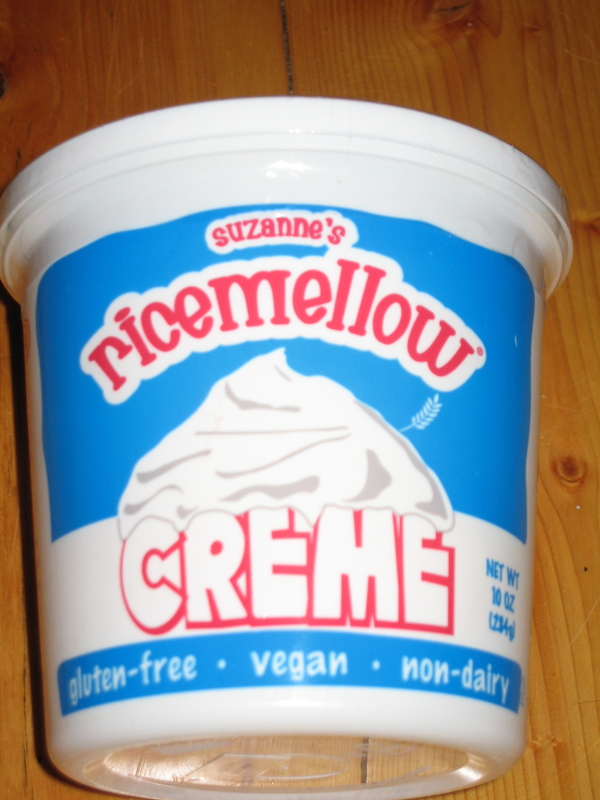 I was pleasntly surprised to find Suzanne’s RiceMellow in a local natural food store a few years ago. I have been a big fan ever since (and can enjoy fluffernutter sandwiches again). Now it’s your chance to win your own container of Ricemellow. Leave a comment by 8pm tonight December 10, 2009 for your chance to win. Sorry this giveaway is only open to US residence. Blogger Disclosure: Cooking For a Vegan Lover purchased these items for this giveaway. This entry was posted in Uncategorized and tagged 12 days of giveaways. Bookmark the permalink. I have never tried these before, but the idea of the Fluffernutters are making me drool! Ooh, I’ve always wanted to try this stuff!! I dream of old-school rice krispie treats…. I’ve never tried Ricemellow- I would love to surprise my family with some vegan rice crispie treats!! Yum! My comment for the win! I would be in rice crispy heaven. ricemellow! I’m going to try and make fudge….!!! This stuff is SO good, I would love to win some! I’ve wanted to try this for so long now, but can’t find it at any of my local health stores! My fingers are crossed! Perfect for my cocoa! Thanks for all the generous giveaways!!! Ohhh love to make some pancakes with this! Ok, I admit it… I’ve never tried a fluffernutter! and I love PB! I guess it’s mandatory if I win this, huh? Yum! I’ve never tried this, but am a huge fluffernutter fan!